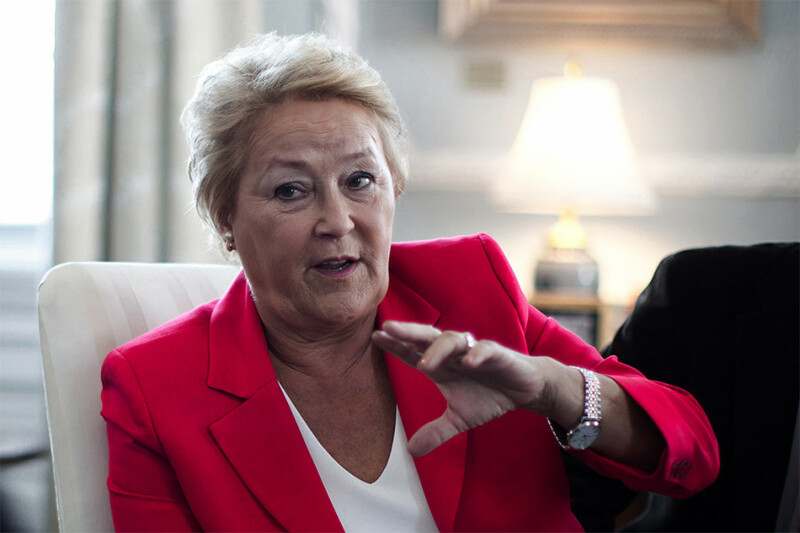 Within the past two weeks, Premier Pauline Marois turned down an offer to participate in an English-language debate twice. Then, when a consortium of English-language media revised their offer, stating that Marois would be allowed to speak in French during the debate with simultaneous English translation, she again refused. “I gave my answer to this question and I don’t have anything to add,” she said. It shouldn’t surprise anyone that Marois would reject an offer to participate in an English-language debate. Let’s set aside for the moment that she has repeatedly stated she is not comfortable enough to convey her point of view in one of Canada’s two official languages. Why on Earth would she try selling her platform to anglo students (many of whom are temporary residents in Quebec) and anglophone Quebecers who aren’t likely to vote PQ anyway? It’s not like the PQ’s proposed Charter of Quebec Values, desire to separate from Canada and often militant protection of the French language jibe well with the anglophone minority that still calls Quebec home. The passage of Bill 101 in the late 1970s started a wave of movement as anglophone Quebecers bailed on the province. It was a sad chapter for Quebec; the province lost many corporate head offices and the economy took a hit as a result. Guess what? That’s exactly what happened. Tuition is a bread-and-butter issue that students care about—nobody wants to see a tuition hike. I’m sure many people reading this will make a quick mental comparison of Quebec’s tuition rates to those of other provinces; we have it good here, but part of the reason that’s the case is because student leaders stood up to then-Premier Jean Charest’s proposed 75 per cent hike over five years. When the dust settled in September 2012 after Marois’ minority government came to office, she fulfilled her end of the bargain—the tuition increase this year was just three per cent, and future increases are tied to average household income. Those events are now receding in the rearview mirror. The Maple Spring and the tuition issue are a thing of the past. It’s doubtful that many students, particularly in urban centres like Montreal and Quebec City, will vote PQ anyway, since a pillar of the party’s current platform is the Charter of Values. Discrimination on the grounds of what public employees wear is going to create a breeding ground for distrust of the “other”—exactly what we don’t need in a country that prides itself on diversity and multiculturalism. What they’re determined to do is win a majority government after months of careful political maneuvering. Madame, as an English-speaking student, my question is: Why should I vote for you if you won’t make the effort to explain your party’s platform to us?